The Louis Vuitton press day last week had much to recommend it. I find that fans of classic style often dismiss fashion designers a bit too readily: a handful of them including Marc Jacobs are often worth perusing for their fresh ideas, particularly on items such as overcoats. Tailors aren’t usually the greatest designers, and unless all you want to do is resurrect old classics that everyone has already copied to death, it’s good to have some new ideas. More of that, however, in another post. The most interesting thing about this press day for me was that Vuitton had a character on hand to teach people about packing technique. Makes sense, really, given Vuitton’s luggage heritage; but it did seem an oddly practical thing to have surrounded by so much fashion fancy. Some of his advice I had heard before, whether from friends or magazines, but it was interesting to see it repeated with the Vuitton gloss. Both trousers and shirts, for example, escape hard creases if they are folded within each other. Fold a couple of shirts so that their arms are tucked in but they remain long in the body, then overlap them at the bottom and fold in. Because each has to go around another piece before folding in (see image below), it won’t crease at the edge. The same goes for trousers – you can even fold up a pair of jeans and wrap linen or something more delicate around them. Pack shoes and washbag around the outside: that was another tip. Helps to spread the weight. And the Vuitton man also recommended packing jackets by pushing the shoulders through and folding lengthways, which many tailors have told me previously. The Vuitton difference was the added step of pulling the sleeves through too, effectively turning the entire jacket inside out with one sleeve inside the other. I shall try that variation when I head to the US later this week. Finally, something I had never heard before. Pack knitwear by folding in the arms and then rolling it, tightly, all the way up. Once in that tube form the sweater can be coiled up and stuffed into a corner. 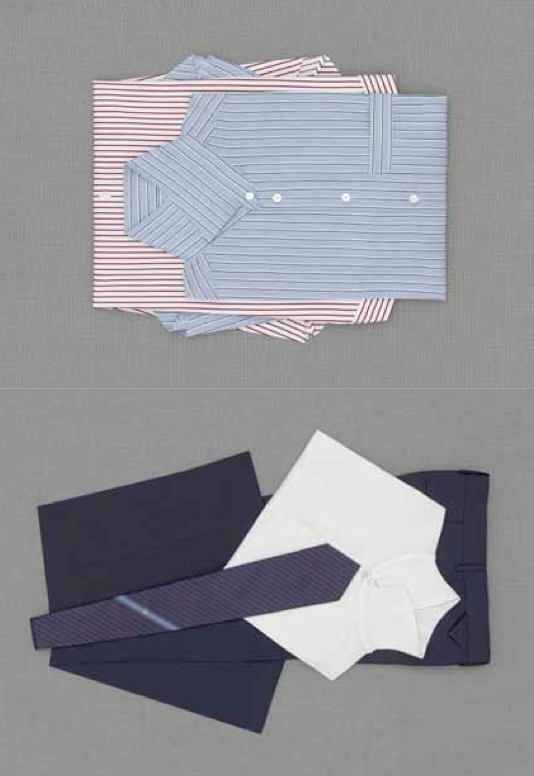 As with the shirt folding and the rolling of inside-out jackets, the central point was the same: folding flat only creates creases at the edges. 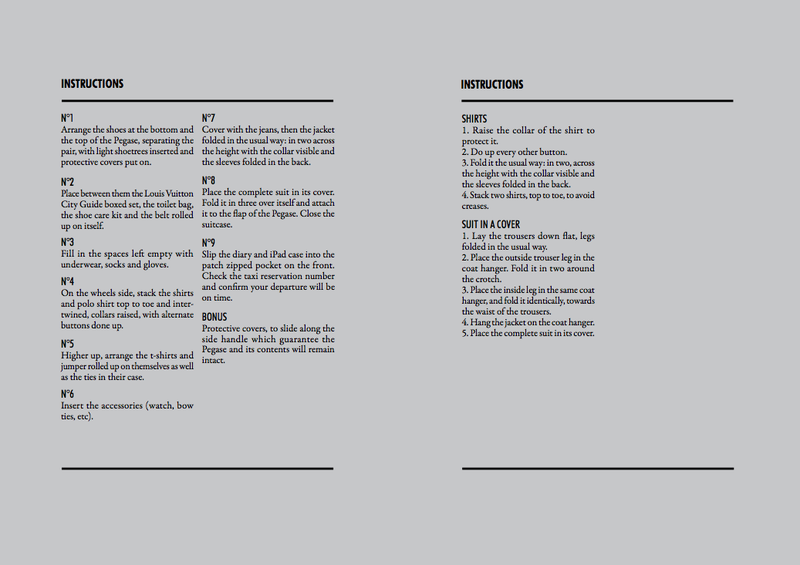 Anyone interested in the Art of Packing programme can pop into a Vuitton store and get a walkthrough from staff on site. 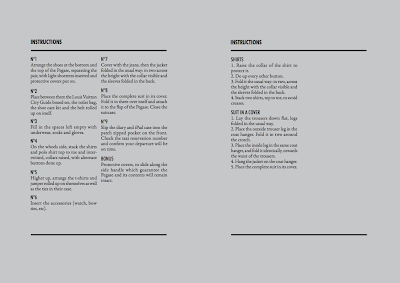 There are also handy little booklets showing different tips for different Vuitton luggage (extracts pictured here). Nothing publicly on the web yet though. You can follow the discussion on Louis Vuitton: The Art of Packing by entering your email address in the box below. You will then receive an email every time a new comment is added. These will also contain a link to a page where you can stop the alerts, and remove all of your related data from the site. Yes, these are some good tips for packing – I’ve used these myself. Personally, I’m not a big fan of turning the shoulder on a jacket inside out. I tried this once and the shoulder pad was left folded on itself, leaving an annoying bunch of wadded pad that took a long time of kneeding and working the jacket and pad back into place. I could imagine this might be even more risky with a soft-structured jacket that has shoulder wadding instead of a pre-formed shoulder pad. Of course, construction of the shoulder will also vary depending on the make of the jacket. Anymore, I just fold it in half and place it on top. Allowing the jacket to hang and rest once I arrive takes out any remaining creases. This sounds of course interesting, but knowing that I better pack my ideas than snything else, a video would have been better in my case! I hope L.V will soon come out with one. 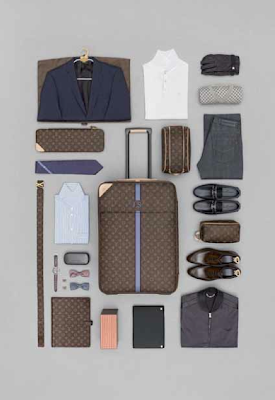 Loius Vuitton has since added the packing application to its website. Although the smaller bags do not have examples of men’s clothes, it is quite useful.